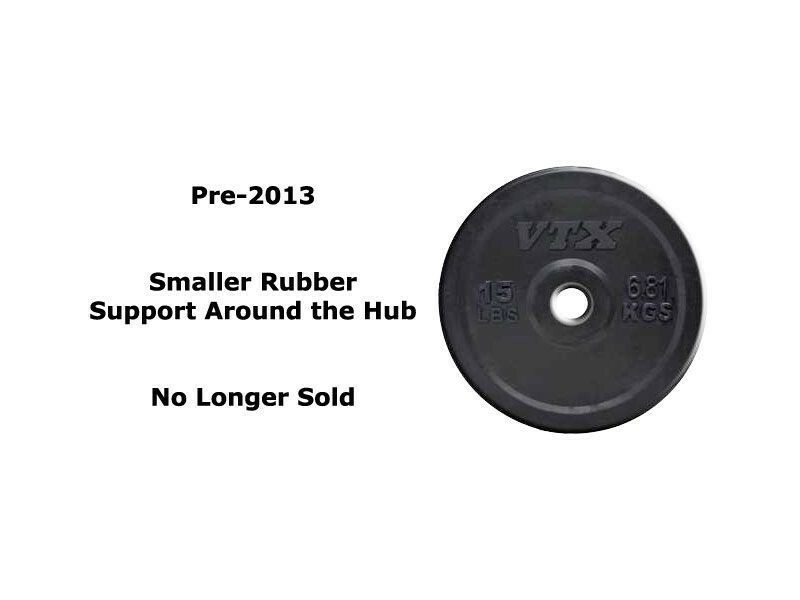 This model is discontinued. Some sizes are still available. 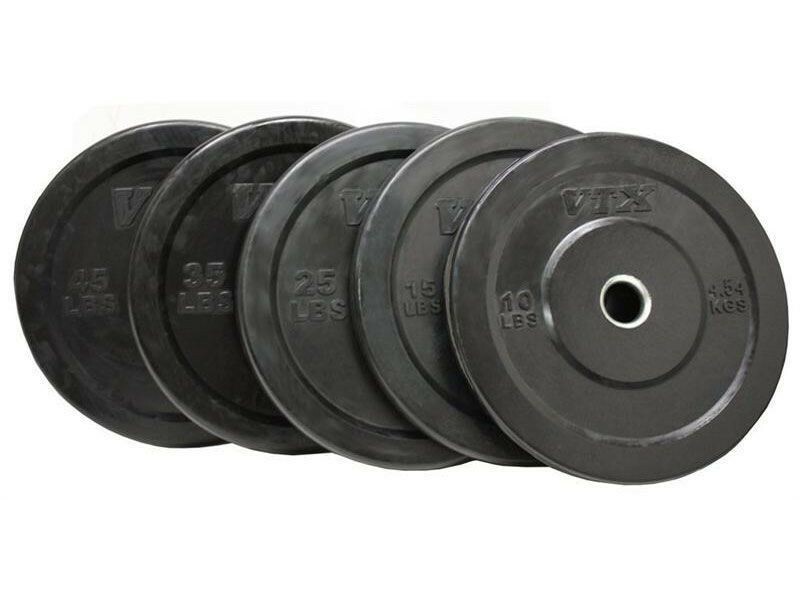 The 10lb and 45lb are all gone. 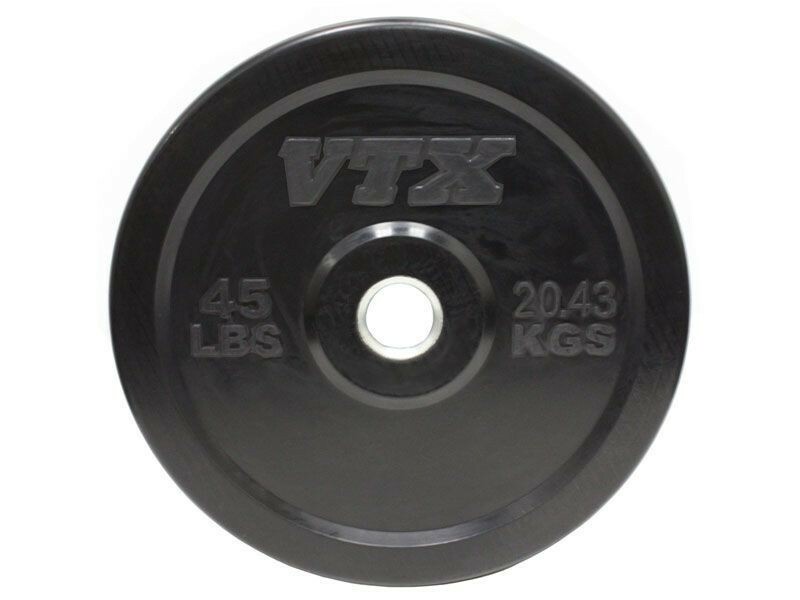 The Troy VTX black bumpers are one of our most popular bumper plates. 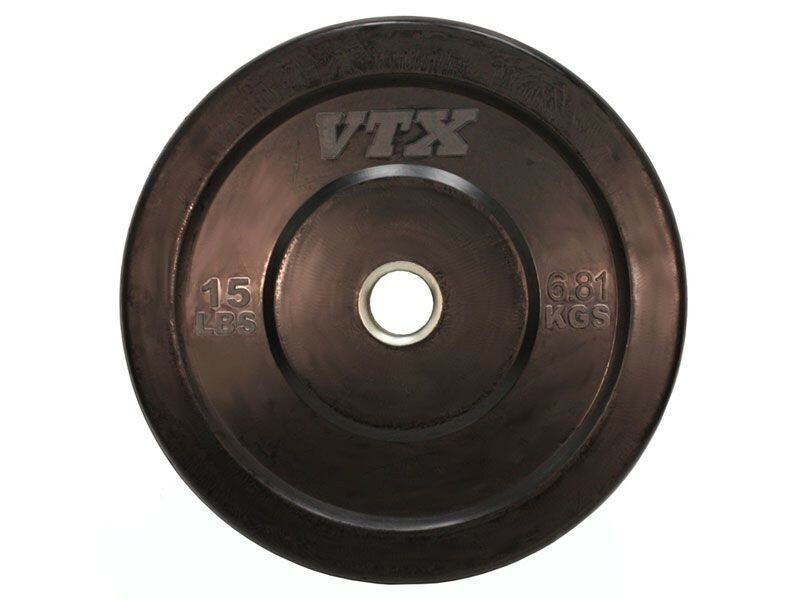 You can fit 4 45lb bumpers and collars on each side of a typical bar for a 405lb maximum load. This will depend on the sleeve length of the given bar. 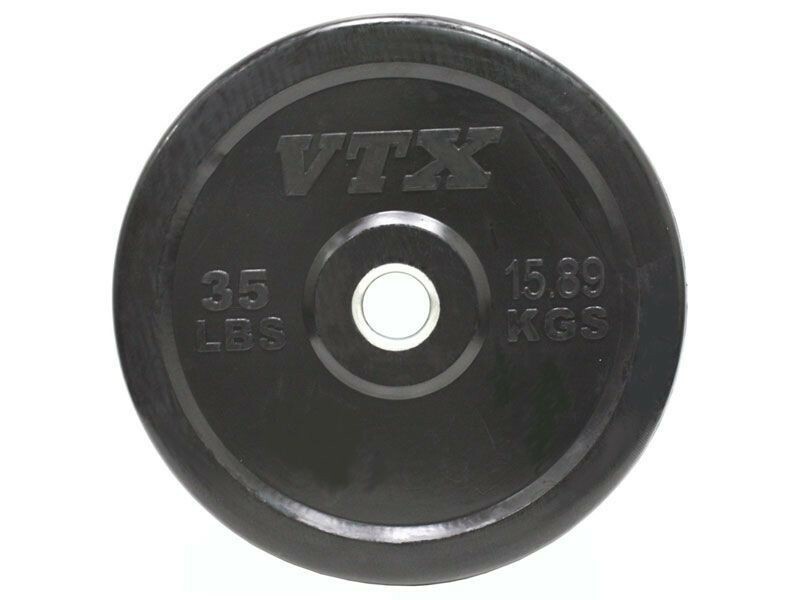 See bumper thicknesses below. 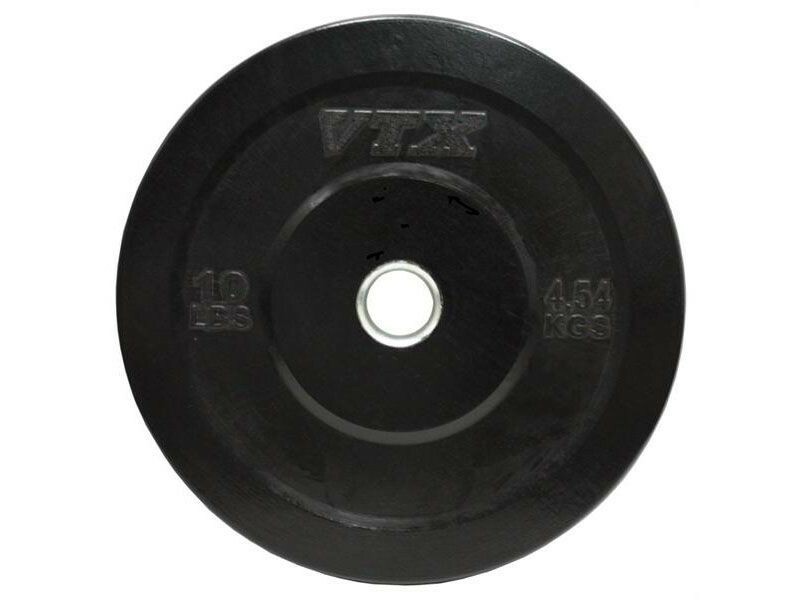 The 10lb bumpers are thin and are not guaranteed by Troy to hold up to dropping by themselves, but they are very stiff. In 2012, Troy redesigned the 10lb and 15lb bumpers for better durability. 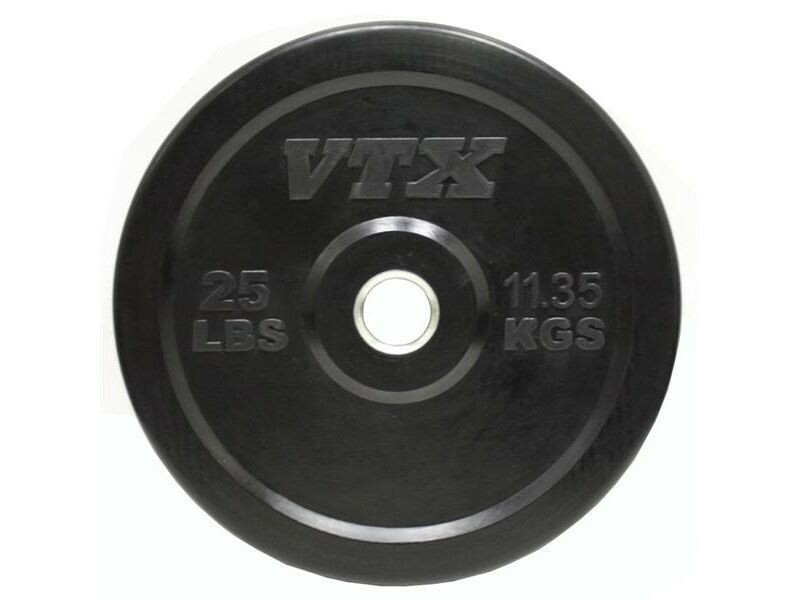 See the Troy VTX Color Bumper Plates for easier identification.